“Take it further” is our approach to business, partnerships and aspirations. It is the message we want to convey through our words and above all, our actions. It is the essence of Advance Valves, which has spurred our growth complemented with high customer confidence. The June ‘14 edition of the Valve World Magazine features Advance Valves on its cover. 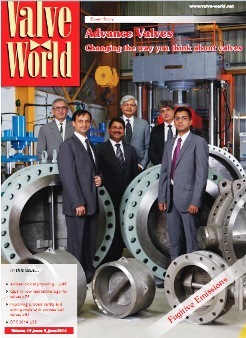 Valve World is the global valve industry’s apex magazine focused on the global valve business with extensive participation of end users, Process Licensors, PMCs, EPCs, distributors & sellers. Valve World published an exclusive interview with our Joint Managing Directors Mr. Priyank Garg & Mr. Pranay Garg along with the team. Here both Joint Managing Directors have discussed about Advance Valves’ successful journey, vision and mission for the future. Advance Valves Chief of Business Development Mr. Rohit Modwel speaks about making it easier for customers to find our products in every corner of the world by expanding distribution coverage so that products are available not just for projects, but also for plant maintenance operations. On the other hand Mr. Ramesh Handa, Executive Director and Head of Design shared details about the success of Automated Butterfly Valves. Advance Valves was the first company to introduce intelligent actuators to the Indian Oil and Gas Industry about a decade ago. He also explained that Advance Valves has the means and methods to provide Actuated solutions to its valuable customers. Click here for the full article (Valve World Cover Story). Advance Valves has been working with global players and supplying – for more than 15 years –automated Butterfly Valves meeting various client specifications. Advance Valves has now set up a dedicated Automation Division to install, test and ship out the integrated product in large numbers on a sustainable basis. In-house capability is able to assemble valves with different actuator types – Electric, Pneumatic, Electro Hydraulic from reputed global makes. The facility is able to churn out large numbers with leak testing, PST (Partial Stroke Tests), Torque testing, Cycle Testing and actuator performance testing. Complete capability to handle all kinds of instrumentation needs is also proven in house. Advance Valve’s commitment to high end process applications with strict adherence to safety as a top parameter, was earlier validated by the certification of High Performance Triple Offset Butterfly Valves (TOV) as SIL 3 capable by Exida. Currently Advance Valves is supplying SIL 3 certified Long Pattern Triple Offset Butterfly Valves with Pneumatic and Electro-Hydraulic actuators to India’s leading oil refining Companies for their various Marketing Terminals. These are Remotely Operated for safe operations of the terminals and thus categorised as ROSOV. We have manufactured and shipped a wide range of our products to our various customers. Butterfly Valves and Dual Plate Check Valves to Toyo Engineering, Japan for Indorama Fertilizer, Nigeria. We have shipped more than 140 Butterfly Valves (Concentric, Double Offset & Triple Offset Valves) & Dual Plate Check Valves ranging from 100mm – 1600 mm rating #150 - #300 to Indorama Eleme Petrochemicals Limited through Toyo Engineering, Japan. These wide range of valves are meant for a Fertilizer project which consists of 2,300 MTPD Ammonia Plant, 4,000 MTPD Urea Plant, 4,000 MTPD Urea granulation plant with associated utilities. 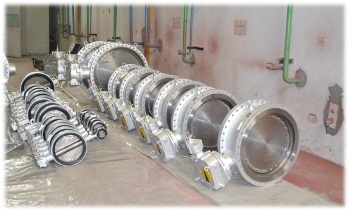 ONGC’s Sagar Samrat Conversion:We have supplied High Performance Triple Offset Butterfly Valves to ONGC’s offsore Sagar Samrat project with NB 150mm – 300mm #150 in Duplex ASTM A890 Gr.4A material through Mercator Ltd. This project is for conversion of mobile offshore drilling unit into a mobile offshore production unit. 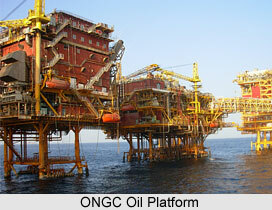 Sagar Samrat is ONGC’s and also India’s first drilling rig located at Bombay High. We have supplied more than 45 High Performance Triple Offset Butterfly Valves to BPCL (Bharat Petroleum Corporation Ltd) with NB 450mm – 1500mm #150 for Kochi Refinery through Engineers India Limited. We are supplying High Performance Butterfly Triple Offset Valves with 250mm - 750mm #150 - #300 and Dual Plate Check Valves with NB 150mm – 500mm to Sunoco Logistics Partners L.P, Marcus through CB&I, USA. Supplies include Cryogenic and Low Temperature Service Triple Offset Valves. SXL Mariner East is pipeline project to deliver propane and ethane from the liquid-rich Marcellus Shale areas in Western Pennsylvania to the Marcus Hook. We are pleased to advise our clients that we have recently enhanced our product range pre-qualification for project requirements by National Thermal Power Corporation (NTPC), and added two more plants to the qualification coverage. NTPC, India's largest power company, is emerging as an ‘Integrated Power Major’, with significant presence in the entire value chain of power generation business. The office is located at Prestige Meridian, 29-30, MG Road, Bangalore, Karnataka 560001 and you can connect at bangalore@advancevalves.com. 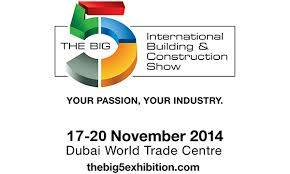 All these exhibitions are proven platforms for showcasing new solutions, high-end networking, technology updation and for increasing brand and product awareness. We once again thank our Customers, Partners, Stakeholders and well-wishers for the confidence reposed in us. We look forward to working with all of you in the coming years as well.